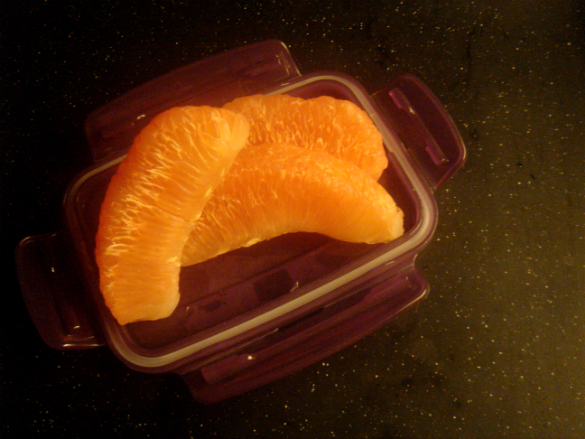 I opened the refrigerator a few minutes ago and saw a container filled with pink, plump, and peeled pomelo wedges. It was a lovely sight! 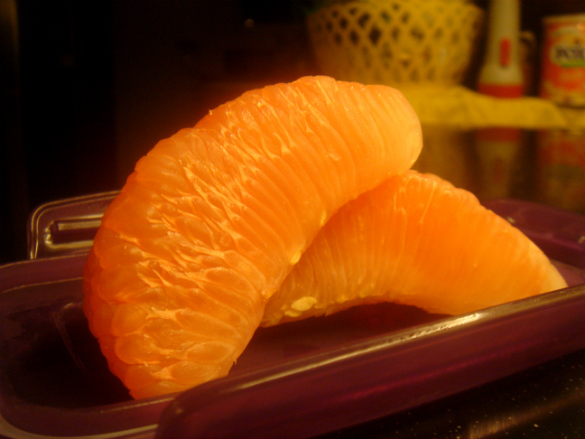 I always enjoy eating the sweet and sometimes sour, juicy fruit. 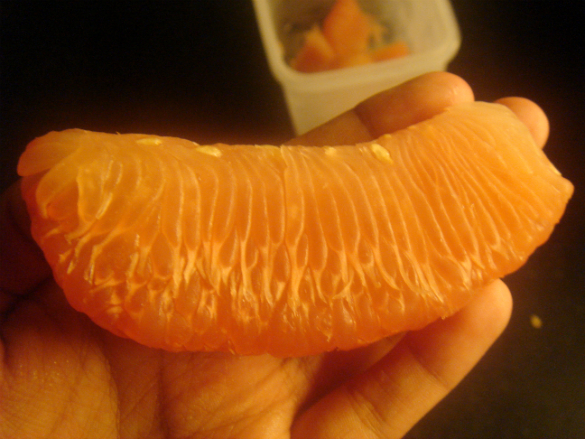 I like pomelo, but, I have to say that peeling the fruit does require a lot of effort. However, I’ve learned that God can use even the most random things, like peeling fruits, to speak to us and encourage our hearts. 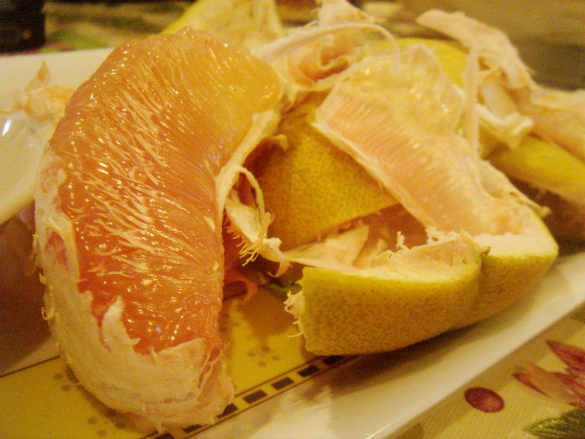 The last time I peeled a pomelo was when one of my sisters and I watched Fantastic Four at home. At that moment, I wondered why it was so complicated to peel the fruit. I mean, God could have made pomelos like bananas, so that we can easily peel them too! But as I continued to peel and eat the fruit, I found myself being more amazed by the fact that God DID make pomelos the way they are because He is God! He knows best. 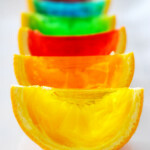 :) The thick pomelo skin, the Vitamin C and potassium in it, the thin inner peels that protect the fruit, and even the juicy fruit itself are all part of his plan when He thought of creating it. It reminded me so much of how creative, indescribably intelligent, and awesome our God is as a Creator! 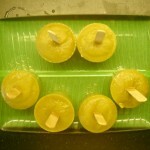 He could have made the pomelo fruit with just one layer of covering, but He didn’t. He carefully designed and thought about it when He made the pomelo. And it amazes me to see how He can use fruits too to remind us of who He is in our lives. I realized that just like how I reacted and got easily frustrated with the hassle of peeling the pomelo, I still sometimes find myself dwelling on negative thoughts about me, others, or the situations I am in. 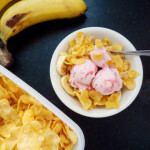 Sometimes, I am even tempted to complain about how “complicated” life is too, or I tend to compare myself to other “bananas” and “fruits” out there. But, God encouraged me to focus on who He is. When I started to think about God being an amazing Creator of the pomelo fruit, I slowly began to appreciate the process of peeling it. I appreciated the fruit more, even if it had a lot of “complications”. It was a good reminder for me to dwell on God’s Character than on me and my “complications in life”. Life is about who God is and what He has done for us. God made us exactly the way He wants us to be. God made us because He loves us.